President of the Nigeria Football Federation (NFF), Amaju Pinnick, has vowed that the Super Eagles will defeat Bafana Bafana in South Africa. The Eagles were beaten 2-0 at the Godswill Akpabio International Stadium few weeks ago, in their first game of the 2019 Africa Cup of Nations qualifiers. 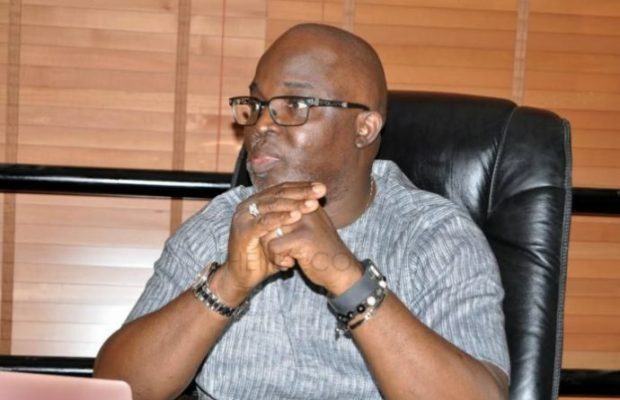 Speaking on Wednesday when the football house signed the Federation Cup sponsorship deal with Aiteo, Pinnick assured that the three-time African champions would not only qualify for the tournament, but will exact revenge in South Africa. “I promise you, we will not only qualify for AFCON but we will beat SA in SA,” he said. Nigeria is in the same group with South Africa, Libya and Seychelles. Libya currently top the group after they hammered Seychelles 5-1 in their first fixture.